Zapier is an online tool that is used to connect two or more apps to automate workflows. 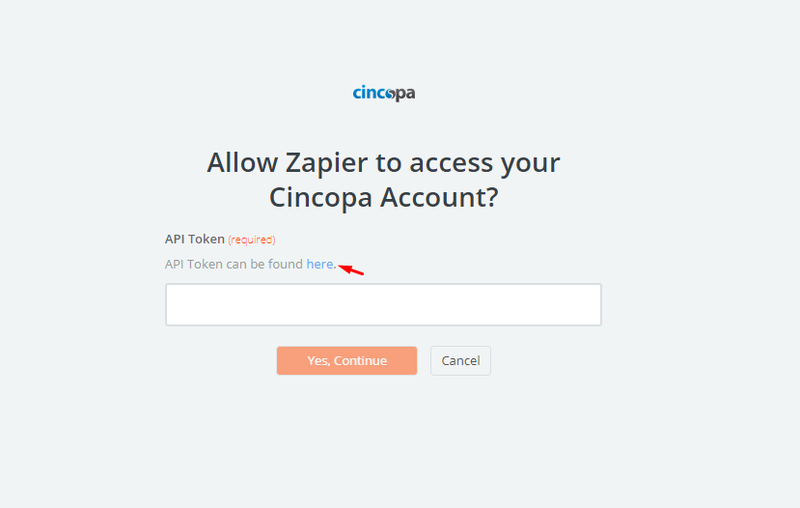 With this integration, you can connect your Cincpa account with hundreds of other external services by using Cincopa as the “trigger” or “action.” For example, you can use Zapier to connect a 3rd party landing page service so when a lead is submitted in Cincopa, It is than logged into into a Google sheet document so that any new contacts created from that landing page (“trigger”) are automatically added to your google sheet (“action”). Another useful Cincopa Zap, Especially for teams, Web, and marketing agencies is to be notified via email or Slack on new changes done (New Uploads, New galleries, Deleted Galleries\Assets, Updates on specific Galleries) on the Cincopa accounts they manage as admins, this way they can keep a close watch on what their team or clients are doing in real time. A trigger in Zapier is defined as something that happens in an app that you want to be the start of a Zap’s workflow. New Deleted Asset – Triggers when an asset is deleted. New Uploaded Asset – Triggers when a new asset is uploaded. New Gallery – Triggers when a new gallery is created. New Deleted Gallery – Triggers when a gallery is deleted. New File – Triggers when any new asset is added (inside of any folder). Asset Synced – Triggers when the asset and all of its versions are stored on the server and ready to be delivered with the CDN. Gallery Synced – Triggers when gallery and all of its assets stored on the server and ready to be delivered with the CDN. 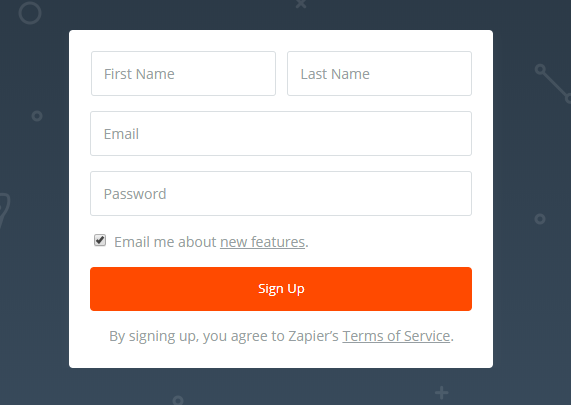 An action in Zapier is defined as something your Zap does after a trigger occurs. 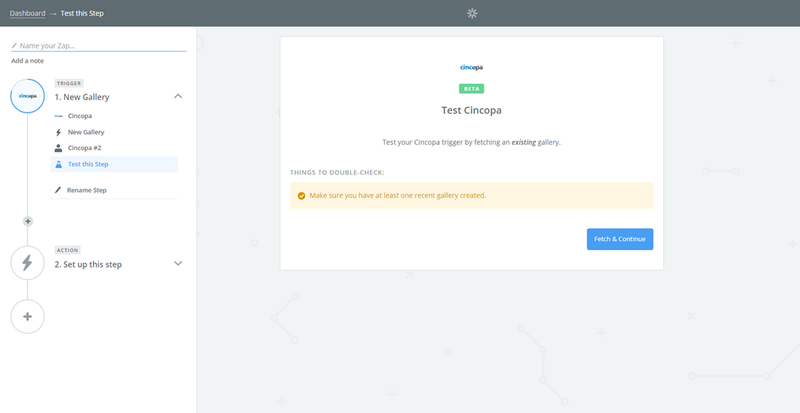 Upload Asset – Automatically Upload Videos, Images, Audio (and other files) to your Cincopa account. 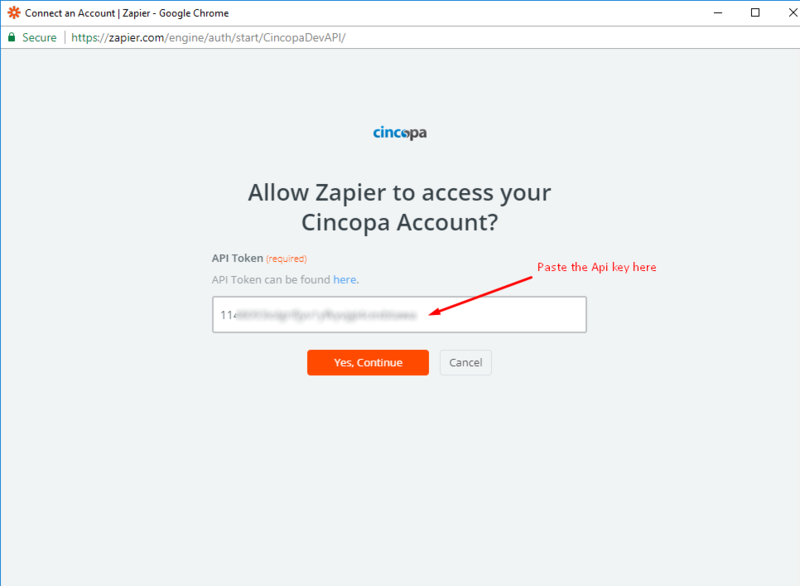 The following will go over a quick example of how to configure Cincopa on Zapier. If you have not already done so, sign up for a Zapier account. 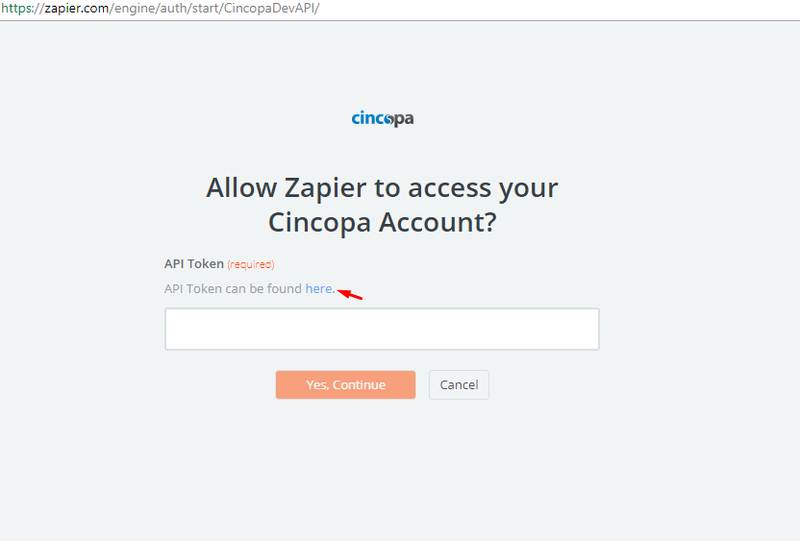 When you add Cincopa as either the trigger or action, you will need to connect your Cincopa account and create an API token. Click the “here” link to open your Cincopa account in a new window. Paste the API token. click “Yes, Continue”.